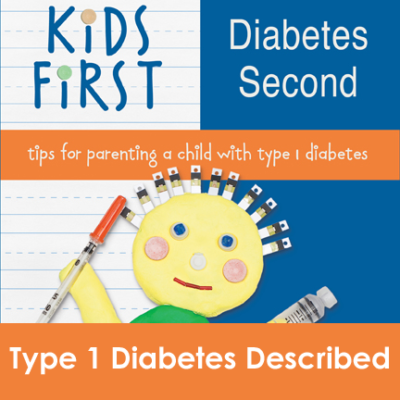 Summary: In this excerpt from my book Kids First, Diabetes Second I talk about some differences between type 1 and type 2 diabetes. It’s never my intention to pit people affected by one type against the other, but there is always a lot of confusion between these two types. As with most families, the day our daughter was diagnosed was the first time we learned more than just the basics about type 1 diabetes. 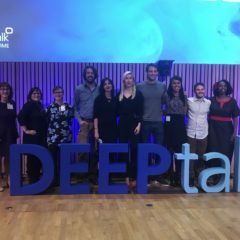 Our nephew had been diagnosed with type 1 diabetes two years earlier, but since we weren’t involved in his daily care, we didn’t have much firsthand knowledge other than seeing him check his blood sugar or get an injection at family get togethers. It’s very difficult to get a true understanding of what’s involved in diabetes care unless you live with it on a daily basis. 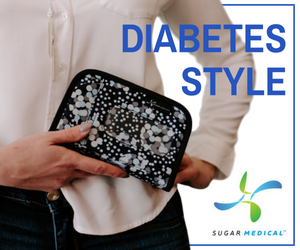 Most people are familiar with type 2 diabetes—they hear commercials for testing blood sugar or they may have a relative who takes oral medicine or maybe even insulin injections—but many people have little or no knowledge about the less-common type 1. Statistics show that only about 5 percent of the 16 million Americans with diabetes have type 1. However, understanding the differences between the two types is very important for parents, caregivers, and anyone else interacting with your child. 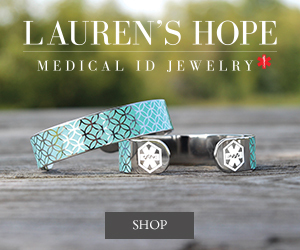 While type 2 diabetes is a metabolic disease, type 1 is an autoimmune condition. This means that a person with type 1 diabetes does not produce his or her own insulin and never will again. A person with type 2 diabetes still may produce insulin (although sometimes not enough), but their bodies have a hard time using the insulin properly. Therefore, with diet and exercise change, a person with type 2 diabetes can sometimes improve the body’s ability to produce and use insulin, while a person with type 1 cannot. As parents, we naturally reacted by asking whether we did something to cause the diabetes. 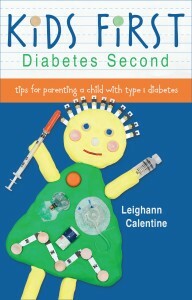 It was reassuring to learn that there is nothing you or your child can do to cause or prevent type 1 diabetes. Even medical experts are not sure what exactly triggers the body to develop type 1 diabetes. In the simplest of terms, the cells of the immune system begin to attack the body instead of protecting it. These “T cells” attack the pancreas’s beta cells, which produce insulin to help convert food into fuel. As these cells are destroyed, the body begins to lose its ability to process food into fuel. Once this ability is lost, it cannot be reversed. 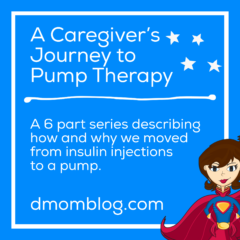 There is only one basic treatment option—replacement insulin therapy. The parents caused it (i.e., they let the child drink too much juice or eat too many sweets). The child watches too much TV. Only overweight children get diabetes. 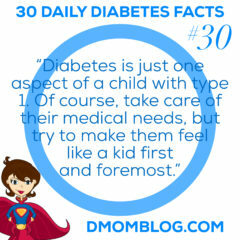 The child will outgrow it or will have type 2 diabetes when they become an adult. It’s the “bad kind” of diabetes, and they will have complications someday like Aunt Agnes. The child should not have desserts and should eat only sugar-free foods. The child can’t play sports. 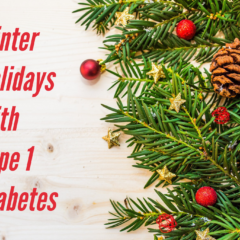 While these misconceptions can be frustrating and even hurtful, I have found that the best way to handle them is to calmly explain the differences between type 1 and type 2 diabetes. Of course, sometimes it’s not worth the effort. There are situations where it may be better to just ignore these comments completely.